Yes you read that correctly, this is a 12 PLY TIRE! Run Flat technology so you can run these babies without any air at all if necessary. These bad boys can take a beating. Check out the video below to see what they are capable of. If you are looking to eliminate flat tires this is the tire for you. You can literally run these without any air pressure at all. They feature a reinforced hybrid construction sidewall which maintains it's rigidity without any air. 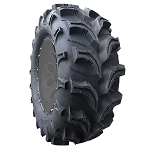 RP is a manufacturer of affordable tires to fit ATVs and UTVs alike. They are well known in the industry for being reliable yet affordable tires with excellent performance. Worth the money you invest if you'd rather be enjoying the outdoors to changing tires. These tires are very reliable in the south Texas brush. love these tires! They are very durable and should last a long while even in very tough conditions . Awesome tires for my thorn infested brush country ranch. Just the ticket for preventing flat tires. Remarkable smooth ride to boot! We ranch in mesquite / cholla/ cedar country, meaning countless flats, oodles of goop, and plugs. We bought these tires and they seem to really hold up well. Don't need any goop. Time will tell, but so far so good. If they last they'll be what we use from here on out. Seem very meaty and worth the money. Time will tell though. Rubber is very stiff and impossible for the average person to mount on your own. We have a tire machine and still had a tough time. Pay a professional. I got 4 tires . I spray noxious weeds and a lot of my spraying is where people planted trees. Russian Olives and plum bushes are hard on tires. I got tired of coming home and getting up to go in the morning and having to plug tires! I tried the stop leak goop and that was worthless! I have ran these tires for a over a month and so far so good. I check the tire pressure once a week and they have stayed at 16 psi the recommended pressure. Thank goodness no more plugging tires! If they survive the Russian Olive and plumbs cactus hasn't got a chance! Oh and their service is great too. Looks like the lugs will hold up too. The Yamaha Viking I have is posi rear end. I know its been just over a month but they look new! 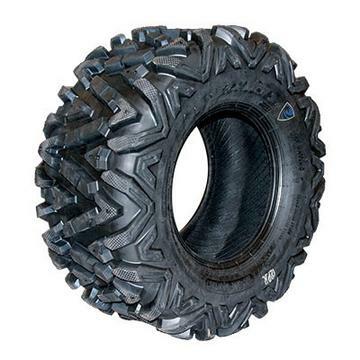 Pretty sure I will be putting these tires on my next UTV too! Q: how much do the 26x9-12 and the 26x11-12 weigh? A: 26x9x12 weigh 32.8 lbs. 26x11x12 weigh 40.8 lbs. Q: What is the load limit on these ? I spray weeds so I always have a sprayer in the back of the ranger. Im up in the hills all the time and my 6ply tires have plugs stickin out everywhere. 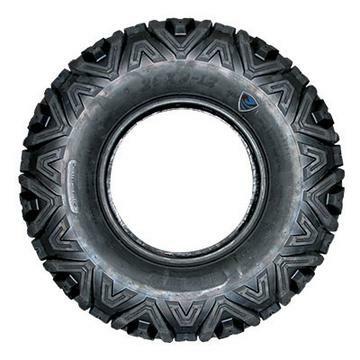 Q: Would this be a good tire for trails? A: absolutely yes, these are excellent all-terrain tires. Q: I have a John Deere gator diesel and I am considering putting on the 29.11.14 tyres 12 ply to get a bit more clearance and to avoid having as many punctures. These tyres are obviously more rigid. Are they as good in soft, muddy conditions as the more flexible 6 ply ? A: They aren't quite as flexible as the 6 ply so you would notice some difference in real rocky terrain where there is a lot of tire flexing etc.. but in our opinion and based off the feedback we've heard they will perform just as well in the mud and soft conditions as the 6 ply version. Q: Is this a radial or bias ply tire? Q: Will you ship to Canada?? A: Yes we do but it's not free shipping like it is within the 48 United States. If you give us your full address and exactly what you want to order we can price it out for you. 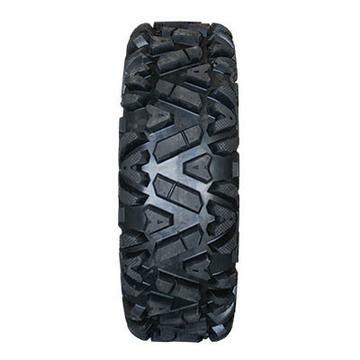 Q: I just bought a 2018 Polaris rzr s 1000 with 27 11 12 on the rear and 27 9 12 on the front how big of a tire can I put on it before I start affecting the performance and making it to tippy on side hills? 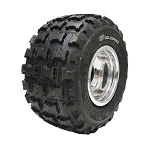 A: Most of our customers run a 28 inch tire on the RZR S 1000. 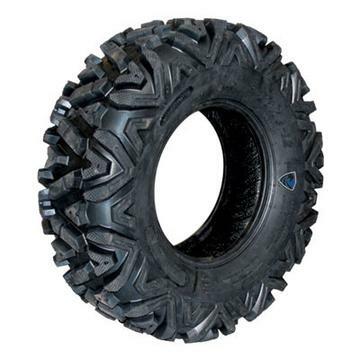 Anything bigger than that will affect the power and may require clutching etc..
Q: I have a 2015 can am maverick turbo and the tire size for rear are 28X11X14 and it seems you don't carry this size. Do they make them in this size for this type of utv? A: They don't make this tire in the 28 inch for now. You would want to go with the 27x11x14 or 29x11x14. Either one would fit your machine. Q: How and with what do you plug a hole if you happen to lose the air in tire? Am looking into ordering a set for Polaris 1000 XP. A: They make tire plugs that will temporarily plug a small hole in a tire to get you by until you can get it repaired/replaced. A: The Run Flats are excellent for what you are needing. Our customers really like this tire. 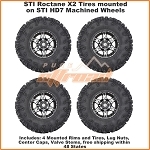 We have a couple of run flat options and they are definitely your best option for a good heavy duty tire that do well against punctures and still work even if they do get punctured. Slime and Ride-on tire sealant are the only options we have ever dealt with and they seem to be about the same. Q: Hi How much do the 29 inch run flats weigh? A: 29-9-14 is 41.3 lbs. & the 29-11-14 is 45.5 lbs. Q: I have a 2008 Ranger/Rzr 800. It lists the tire size as 26-10-12 for the rear. I want the Spartan but they don't have that size. Is there an alternate size that will work? A: Yes, you could run the 25-10-12 which would just be 1 inch shorter. Or you can run the 26-11-12 which is just 1 inch wider. Let us know if you have any other questions.